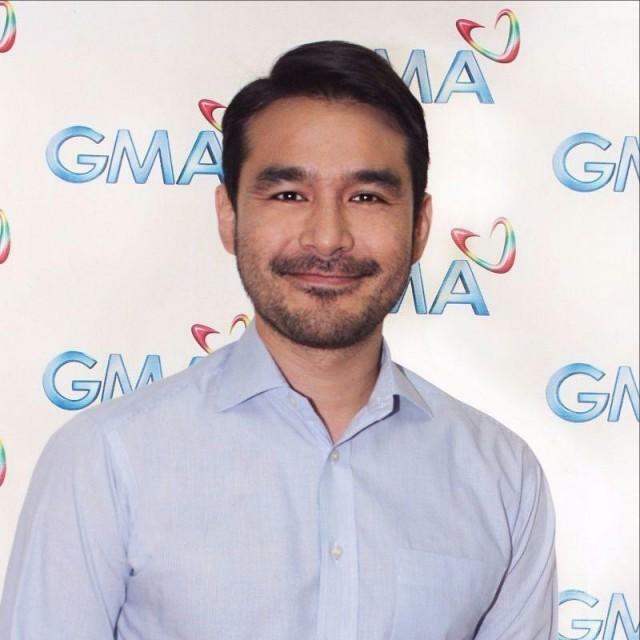 MANILA, Philippines - Almost a week after leaving ABS-CBN, broadcast journalist Atom Araullo returns to rival network GMA-7 to be part of the network’s News and Public Affairs group. The big reveal was made on flagship news program 24 Oras on Thursday. “I’m very excited. Ang dami kong gustong gawin, particularly in the realm of documentary production. I think this is a great place to do all of that,” Atom expressed. GMA Network Chairman and CEO Atty. Felipe L. Gozon welcomed Atom, the former host of 'Atomic Sports' on 24 Oras, on his homecoming. “Dahil kilala ang GMA-7 sa paggawa ng world-class at award-winning documentary and public affairs programs, kami ay nalulugod sa paglipat ni Atom Araullo para lalo s’yang mahasa sa pagiging magaling na broadcast journalist at documentarist among others,” Gozon said. Atom's first project in the Kapuso network will be special report on the country's biodiversity and as announced, he will join the award-winning documentary program "I Witness." Atom is now is looking forward to doing more documentaries with GMA. “Ano man ang mga gagawin ko rito will be the next stage of my career. Gusto kong mas marami pang mai-share sa mga tao tungkol sa aking mga paniniwala, at 'yung passion ko to do documentaries,” he said.